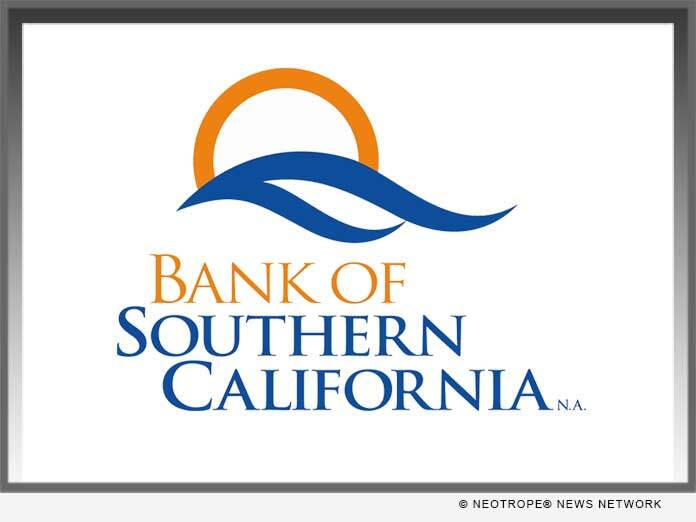 (SAN DIEGO, Calif.) -- NEWS: SAN DIEGO, Calif., Feb. 11, 2019 (SEND2PRESS NEWSWIRE) -- Bank of Southern California, N.A. (OTC Pink: BCAL) announced quarterly net income of $2.0 million for the fourth quarter of 2018, compared to $875 thousand in the third quarter of 2018 and $1.1 million for the fourth quarter of 2017. For the year ended December 31, 2018, net income was $5.3 million compared to $4.0 million for the year ended December 31, 2017. Results are net of non-recurring expenses of $0.5 million in the fourth quarter of 2018 and $2.1 million for year ended December 31, 2018; these non-recurring expenses are related to the acquisition of Americas United Bank (AUB) in July 2018, and costs associated with consolidating a branch office in December 2018.